DANCE IN THE SHADE LISTENING TO SOME OF THE REGION’S BEST BANDS PLAY THROUGHOUT THE DAY! The Jay Rolerz is a dance band playing hits from the 40’s to the 2000’s. Voted the Number One Good Time Party Band by Sacramento Magazine in 1995. They pride themselves on being crowd pleasers and it must be true–most Saturday nights are booked a year in advance. Multi-harmony group with lead guitar, keyboards, bass, drums, sax, trumpet, trombone, and flute. 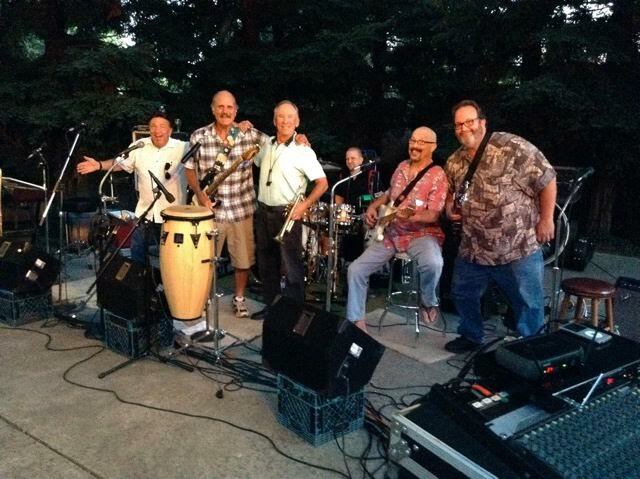 Band has been playing for corporate and private parties and weddings in Northern California for 24 years. They sing country, oldies, classic rock and R&B. Named by the CMA as being “Who New To Watch ”, performing at some of the largest Music Festivals on the west coast, and continually performing to packed venues, Dave Russell is truly starting to hit his stride as one of Nashville’s Newest Recording Artists. 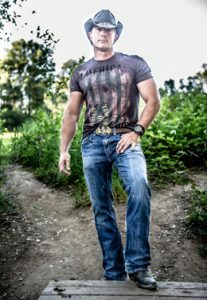 Dave has shared billing with such great artists as Glorianna, Brett Eldredge, James Otto, Justin Moore, Steve Holy,and James Wesley! Along with his shows on the west coast, Dave is always as favorite at CMA Fanfest every year with hundreds of people continually lined up to meet with him and get autographs. Part of Dave’s appeal is in fact, the “Down home attitude and accessibility” he always shows his fans. “I think that it is a true blessing from God that I get to do what I love and share my songs with people. It is even more a blessing to have people want to find out more about me and I just genuinely enjoy talking with my fans. It doesn’t take long for them to become friends! !” With Dave’s band of musicians, he always is willing to at times, to stop the show to be able to interact with his crowd and loves the fact his shows are always evolving and never the same show twice. This true, “good ole country boy from North Carolina” continually sells out shows all over with appearances in California, Nevada, Washington, Texas, Miss and Tennessee. Dave has been called the consummate entertainer and works hard to keep his shows up tempo, engaging and just plain fun!!! Hip Service is unrivaled in the entertainment industry with its unique variety of crowd pleasing, from-the-soul dance music. This accomplished group, made up of world class performers, has become one of the most in demand live acts in Northern California. Performing dance hits from the 60’s, 70’s, 80’s, 90’s and 2000’s, Hip Service features four outstanding lead vocalists, a screaming four piece horn section, rock solid funky rhythm section and four electrifying dancers. Since their inception in 1996, the Hip Service sensation has taken Northern California by storm. In addition to headlining hundreds of club dates to capacity crowds, Hip Service has become the band of choice at outdoor festivals and fairs, conventions and corporate parties, fundraisers, concerts, nightclubs, and private events of all types. Whether they are sharing the concert stage with national acts such as Huey Lewis & The News, Tower of Power, Con Funk Shun, Midnight Star, Evelyn Champagne King, or performing for an intimate private event, Hip Service delivers a dynamite entertainment package. It’s the music that makes you get up and shake your hips! Rhythm & Blues, Classic Soul, sounds of Motown, Classic Rock, 70’s Disco, or Today’s Dance Hits: this is the essential music for any dance party! Award recognition includes: SAMMIE (Sacramento Area Music Awards) nominations four consecutive years, winner of “Best Dance Band” Central Valley Stammie Award, “Best R&B Band” by Sounds of Soul Music Awards three years, Sacramento Magazine’s “Best of Sacramento” party band for six years running, “Best Dance Band in America” by the National Music Awards, and 2014 “Best Entertainment” by Sacramento Magazine . Their unique sound and visually exciting stage show continues to attract an ever growing and loyal audience. This group’s dance-’til-you-drop performances and stellar reputation in the entertainment business has made Hip Service “The-Band-In-Demand!” Great music, dynamic choreography, endless fun and enthusiasm, and true professionalism make Hip Service a very HIP pick. Our band was formed over 5 years ago but consists of musicians each with an average 15 years playing professionally. 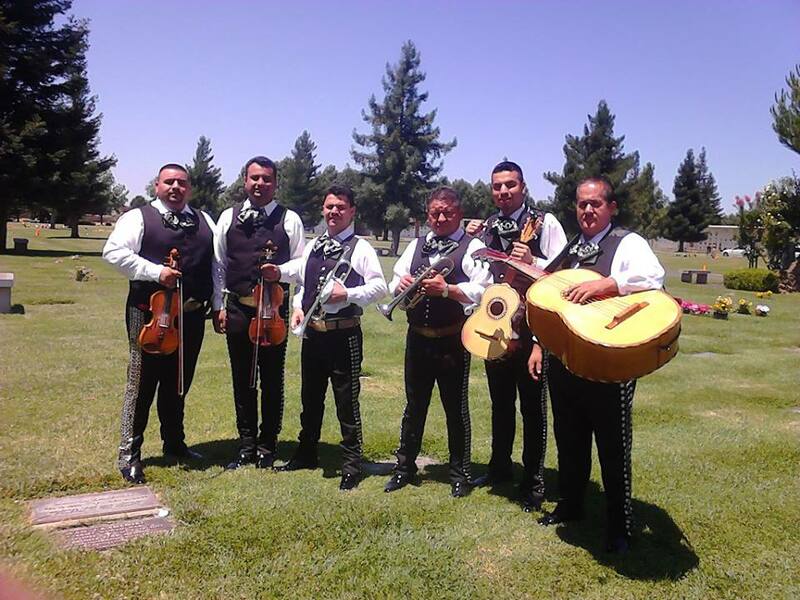 We play mariachi music from throughout the region of the state of Jalisco, Mexico. The instruments in our group consist of Violin’s, Trumpets, Vihuela and the Guitarron. We have played at various music festival’s, weddings, Quinceanera’s, funerals, private parties and gala’s around Northern California. We are sure to liven up any special occasion beyond Cinco de Mayo and Mexican Independence Day!